Well…wild compared to how they currently are. Look, it’s fruits and vegetables, how exciting do you expect them to get? When recently ranking apples by how healthy they are, we discovered that most of the health benefits associated with apples — antioxidant activity, etc. — are found in the apple’s skin (more specifically, the phytochemicals in the skin). But what if one wanted to peel off that skin and eat the sweet, sweet garbage-flesh underneath, while still getting all the health benefits? Apparently, you’ll be able to do just that thanks to a new breeding technology that could potentially enhance the shape, color and health benefits of produce without adding any new DNA. 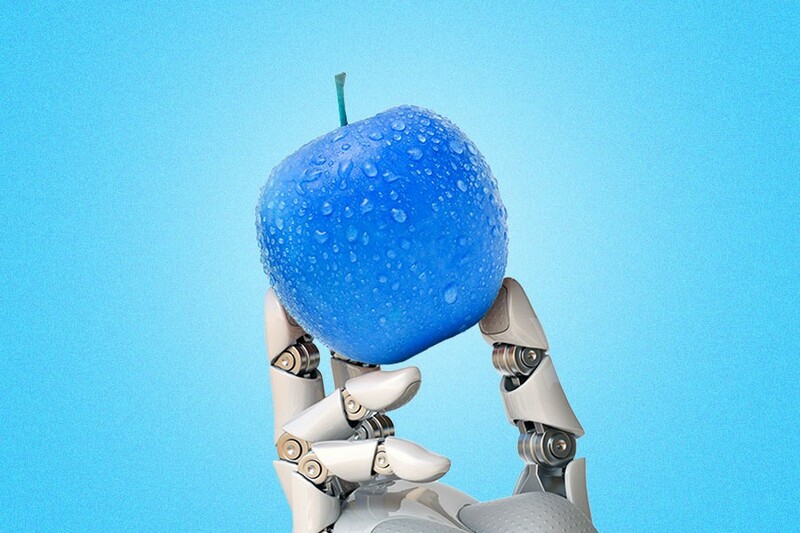 The fruits of the future could essentially be genetically edited (not modified!) to pack all the good stuff into whichever part of the apple that you prefer eating. This new breeding technology would allow growers to create produce that’s either, “novel in appearance, or have enhanced nutritional content,” says Andrew Allan, of the New Zealand science institute Plant & Food Research, and who co-wrote the research published in the journal Trends in Plant Science. By altering the MYBs, produce such as apples and potatoes — which naturally have colorless flesh and therefore lower levels of nutritional concentration in their flesh — can be genetically edited to have the same concentration of vitamins and antioxidant properties in every bite. “This will lead to improvements in human health, since people will hopefully eat more fruits and vegetables and will have longer, healthier lives,” says Allan. In addition to the (admittedly somewhat dull) aspects of health and longevity, Allan believes that another potential benefit is having a greater variety in supermarkets. “By using MYBs to elevate these compounds to create a richer color, we can make produce … more appealing to consumers,” he told Science Daily. To that end, biotech firm Monsanto recently invested $125 million in a gene editing company called Pairwise, whose goal is to create sweeter tasting strawberries, while a team of Japanese scientists have used a technique to produce seedless tomatoes, reported The Guardian. Then, of course, there’s the hybrid purple raspberries that could be made more common using CRISPR. As exciting as the potential here is, it’s worth tempering those expectations a bit. Allan says that we shouldn’t expect anything too nuts — say, rainbow colored bananas or carrots shaped like butts — in the near future. “I’m hoping for new flesh colors first,” he explains, referring to the insides of the apple, rather than its exterior. Also worth remembering is the fact that, as Allan assures me, while genetically modified produce previously meant that new “foreign” DNA is added to the plant, “Gene editing just evolves the plant into something different (better),” he says. Of course, there’s no denying the fact that this new breeding technology can allow sneaky plant companies to bypass the current regulations. “Created through new tools that snip and tweak DNA at precise locations, they, at least for now, largely fall outside of current regulations,” writes Kenneth Chang in the same New York Times article referenced above. But who are we kidding? If you saw an apple that looked like a blueberry, tasted like a raspberry and packed as much nutrition in every bite as a whole Granny Smith tree, wouldn’t you at least give it a try? Come on, folks. We’re surely only a decade away from finding out what a snozberry tastes like.